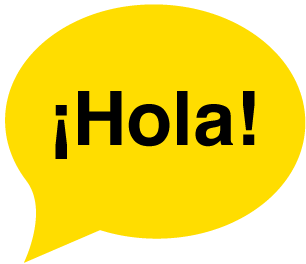 At Chiro Now in Longmont we offer $25 walk-in adjustments. No appointment is needed, just walk in any time we are open. There are no contracts to sign, no tricks or gimmicks. Just an honest and straightforward approach to your health. You have a right not to be sold to, influenced to buy certain products, or required to sign up for any treatment plans. 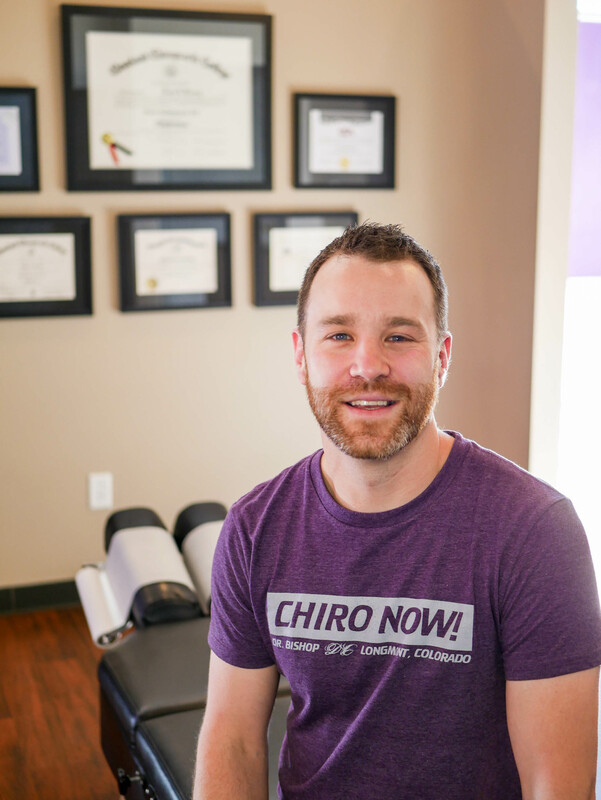 With so many different styles of chiropractic, it’s hard to know what type of office you’re going to walk into. My goal is to get you out of pain, and help you get back to doing the things you need to do. People want to understand what is causing their problem, get adjusted, and have a gameplan for the next few days. Only the most effective techniques are used, and any recommendations given are current and backed by research. There is nothing “far out” about this office, no strange philosophy, no “chi”. I don’t work with your “aura”. Your issues are approached with chiropractic care, the correct advice, and some common sense. I was born and raised in Kansas, and graduated from Cleveland Chiropractic College. 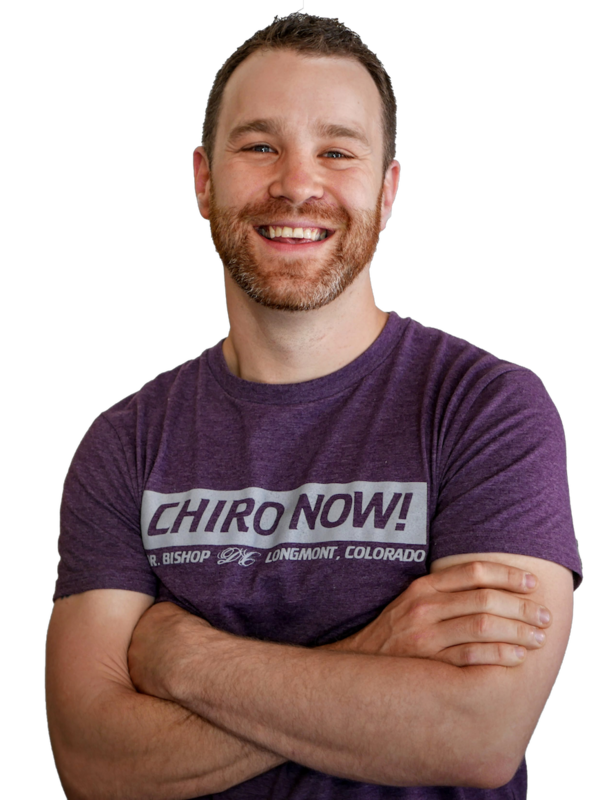 I own Chiro Now in Longmont, Colorado and have been the main Doctor here since I opened in 2010. There is so much more to adjusting than just a list of techniques. Most of it depends on the patient, what they are comfortable with, and what has worked or not worked for them in the past. The majority of the adjustments I do are by hand. It is the most effective way, and it is what most people need. If those techniques won’t work for you, there are other techniques like the drop table or activator to use. It is about making sure you are comfortable and relaxed while you get the care you need. 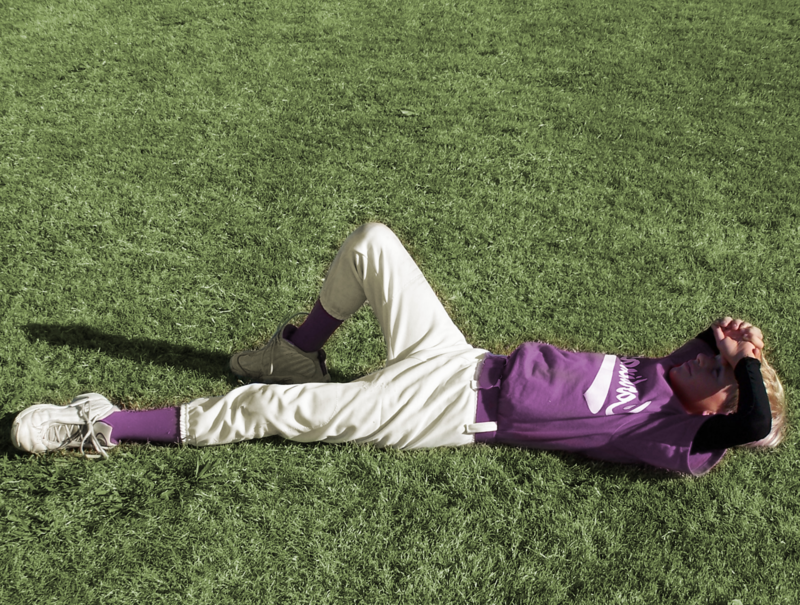 Some of the techniques include Diversified, Thompson (Drop Table), Extremity Adjusting, Activator, Integrated Approach, Gonstead, Full Spine Specific, and Soft Tissue Methods. We provide care for everyone - from pregnant mothers, to infants, children, adults, and the elderly. With so many different chiropractic techniques at our disposal, we are able to treat anyone in your family safely and effectively. Chiropractic is safe for the entire family, and our goal is to help as many people as we can. If you have any questions about how someone will be adjusted or what chiropractic can do for them, please call or stop in and we will answer any questions you may have. We’re making it easy to get a massage in Longmont! 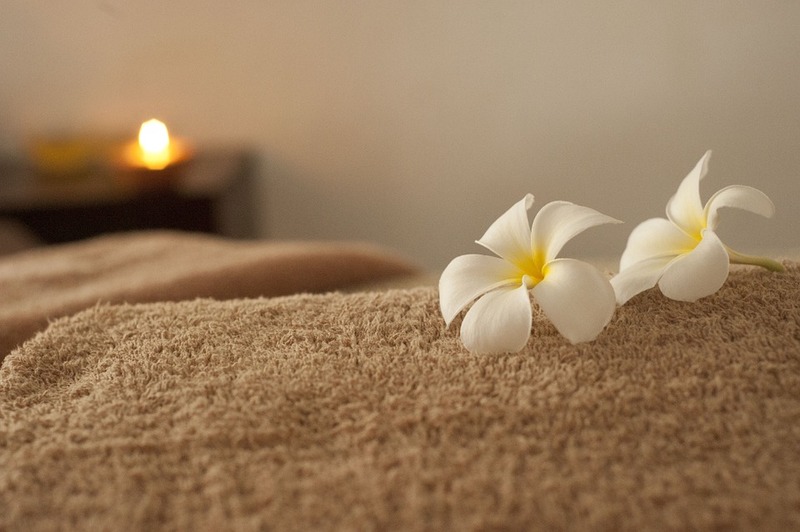 Just call in to schedule a massage, we have licensed therapists available 8am – 8pm, every day of the week. There are no contracts or plans you have to pay for, it is just $40 for a one hour massage. That simple. We have gift cards available, and an amazing team of massage therapists ready to help you. Let us take the hassle out of getting your child a physical exam. 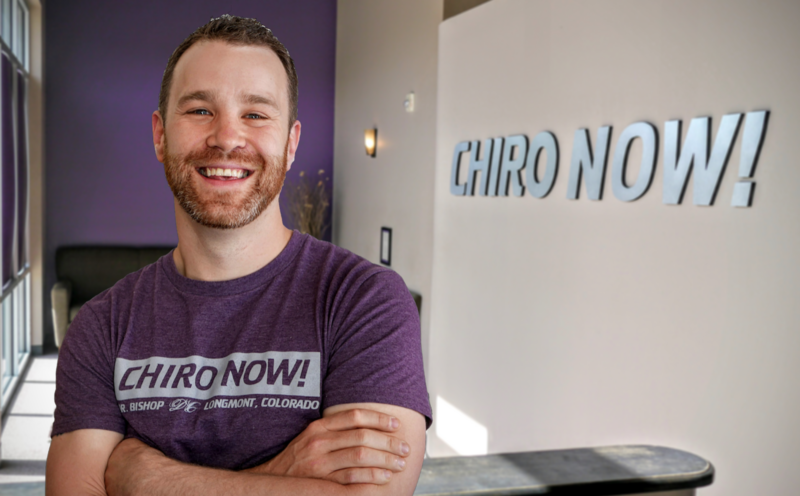 At CHIRO NOW in Longmont, we make it easy to get a school, sports, or camp physical at your convenience. It only takes about 10 minutes, so just stop by anytime during our normal business hours - no appointment is necessary!